In this Disney channel original movie, four teenagers face an identity crisis and they do so in true Disney style- in song, dance, and elaborate costumes. Auradon (think all of Disney's lands ever created) is peaceful- and relatively unmagical. All the villains have been rounded up and locked away on an island with a magical barrier for the last 20 years. The Beast's teenage son is about to take the throne and decides for his first act that the children on that island be allowed to attend boarding school along with the children of the Disney's heroes/heroines. Enter Mal (Maleficent's daughter), Evie (Snow White Evil Queen's daughter), Carlos (Cruella's son), and Jay (Jafar's son). Leaving the island means going to high school with the "enemy." Obviously, their attendance is all part of their parents' master evil plan, and they come armed with Maleficent's spell book and the Evil Queen's magic mirror. However, the young prince and the headmistress fairy godmother (yep- Bibbidi Bobbidi Boo) have other plans. Mal, Evie, Carlos, and Jay face open animosity, high school drama, and a very boring "Remedial Goodness" class. Can a evil villain get a "happily ever after?" The fun in this movie relies on not taking it too seriously. To be sure, the movie doesn't- cue Maleficent's tap/shuffle dance "Don't you want to be evil like me?" The movie will prove to be more enjoyable for those with a large Disney movie background. However, the tale of discoverying yourself is one that is easily related to. Fans of the Disney movies or the High School Musical series will enjoy this comedic fairytale twist. With catchy songs, adorable one-liners, a winsome snowman, an expressive reindeer, and a hidden villain, this Disney movie is a lot of fun! As it happens in many fairy tales, the royal family has a member with magical powers. In this story, Elsa was born with the ability to create winter. Snow is all fun and wonder for the princesses, Elsa and Anna, until Elsa accidentally hurts her younger sister with her power. Anna's memory of magic is erased, and Elsa locks herself away in fear. Upon Elsa's coronation as queen, the castle's gates are opened. Unfortunately, neither Elsa nor Anna are prepared to met the world outside their castle. This Disney movie does not follow the typical Disney plot formula, so expect a few surprises. Frozen spouts the message of familial love and acceptance as well as a more 'modern' look on romantic love. For the youngest viewer, Frozen can be used to teach the simple message of "Stranger Danger." Frozen gives writing credit to Hans Christian Andersen's The Snow Queen, but, with so many changes to the plot, elements are more sly nods to the traditional tale than directly derived. The movie, Frozen, is a great family movie. 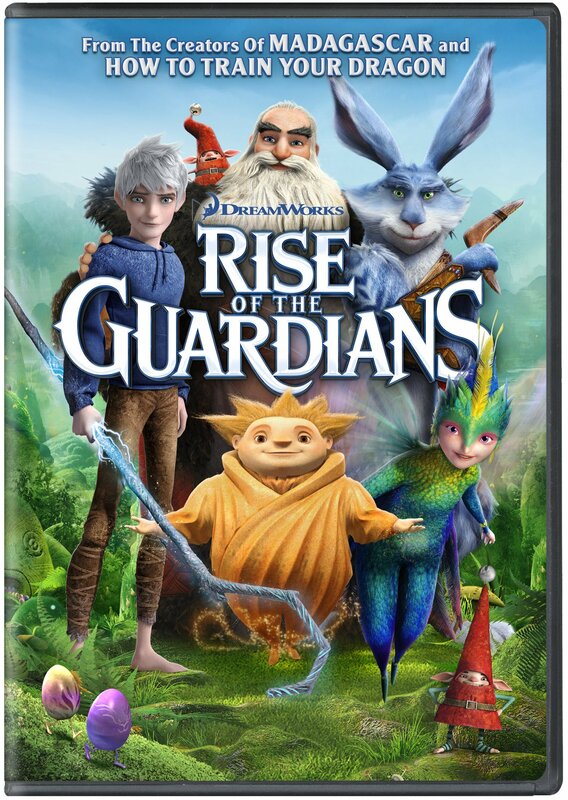 Pair with Rise of the Guardians for a perfectly 'chilled' double feature event. For young Frozen fans, be sure to stop in and pick up one of the Frozen picture books and early readers. For older readers, try the traditional Snow Queen to compare it with Frozen.